There is a bar in Atlanta called Park Tavern that will be hosting a pep rally for Packers fans the day before the NFC championship game. The event is being put on by Packers Everywhere, a group that rents out bars and hosts events for Packers fans all across the country. A fanbase taking over a particular bar is something that happens all the damn time in cities all over America, and it’s really nothing to be upset about. Particularly in this case, as the pep rally isn’t even happening on the same day as the Packers-Falcons game. 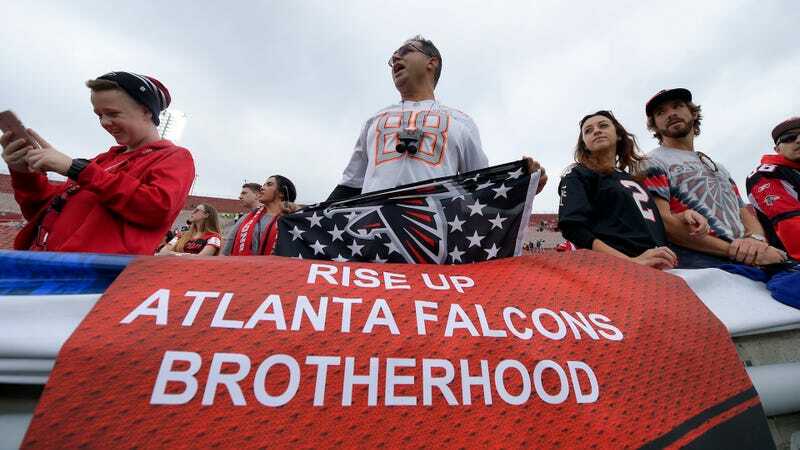 Nobody has ever considered Atlanta to be a real football town or Falcons fans to be particularly devoted to the team, and if this is their attempt at proving that they are serious, they’re going about it all wrong.